Global Geek News > clothing > Doctor Who All of Time and Space T-Shirt $11 Today Only! Doctor Who All of Time and Space T-Shirt $11 Today Only! Is it just me or is anybody else excited about the Doctor Who 50th Anniversary special that is just a week and a half away? Stupid question, I know! I don’t know a single Whovian who isn’t counting down the days until the special. I can’t wait to see the 10th Doctor and Rose return and from what I have heard, there are even more surprises to come! 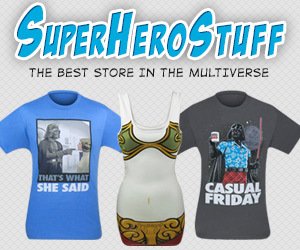 Now comes the big question, what Doctor Who shirt do you plan on wearing for the big day? I haven’t decided which Doctor Who shirt I am going to wear considering I have around two dozen to choose from but I am pretty certain I will wear one of the ones designed by Megan Lara and OmegaMan5000. Anybody who has been following Global Geek News for pretty much any length of time knows I am obsessed with Megan Lara’s art and always buy shirts featuring her artwork and post about them on here and today is no exception! 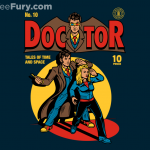 The awesome folks over at TeeFury are selling this Doctor Who inspired All of Time and Space t-shirt for just $11! 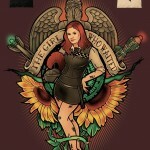 (this is an affiliate link so they know we sent you and we make a little bit of money for referring you which helps support Global Geek News and keeps the lights on) This is yet another shirt in the series of Doctor Who themed collaborations between Megan and OmegaMan5000 and I think they hit another home run with this one! 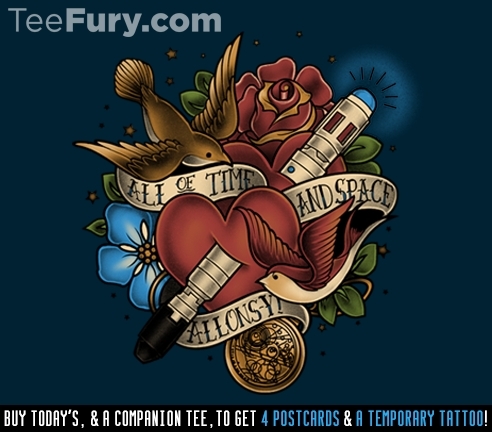 However, not only is this shirt for sale today only, they also have a special going on where if you buy the shirt plus one of the “companion shirts” (one of the other collaborative Doctor Who shirts designed by them), you get 4 cool Doctor Who postcards and a temporary tattoo featuring this All of Time and Space design. The picture below will explain it. 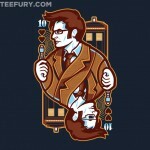 If you are a Doctor Who fan who especially loves the 10th Doctor, you need to get this shirt before it is gone!